Jordan "Zellsis" Montemurro departed Cloud9's Counter-Strike: Global Offensive roster Monday after two months as a stand-in for the team. Zellsis joined the CS:GO squad at the end of December as a trial replacement for Maikil "Golden" Selim. During his time with the organization, he earned a fifth-sixth place finish at iBUYPOWER Masters IV, a second place finish at the ELEAGUE Invitational in January, and helped the team fight its way through the Challengers Stage at the IEM Katowice Major. 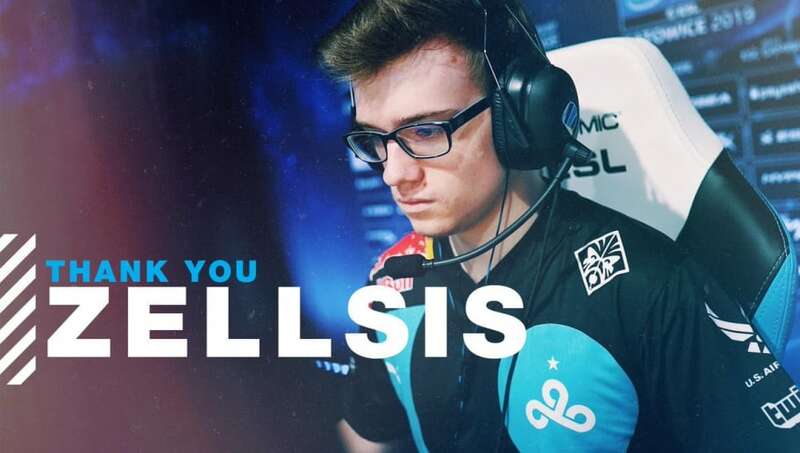 After standing in for #C9CSGO during their time of need, Zellsis and Cloud9 are parting ways. Thank you for all that you've done for the team and we wish you the best of luck in your future endeavors! In a statement, Zellsis wrote about the experience of playing for a team as prestigious as Cloud9. "I still have a lot to learn as a player," Zellsis wrote, "but it was an honor to spend my first major with such an incredible group of players. Thank you to everyone at Cloud9 for giving me this opportunity and I plan on coming back bigger and better than ever." Cloud9 now look to pick up a fifth member to round out its squad.